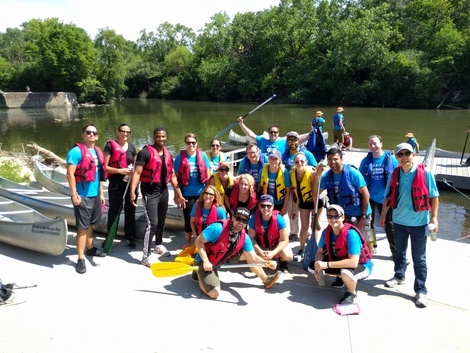 Friends offers companies the chance to paddle together at many locations along the river by providing all equipment and trained, experienced canoe guides. Look at our events page and come to a public paddle, or organize your own trip! For pricing and more information, please contact Annette Anderson at (312) 939-0490, ext. 14.